Holy Guac! I have been gone for a while, and I have missed you, my awesome readers! This week has been a relax and recover week, and it was much needed also. Ha ha! So, I thought I would share with you my Updated Corner Shelf that I posted earlier this year on My Repurposed Life...since I have been, you know, relaxing and recovering. This project was one of those that seemed to take forever...well as it happens years! (oh man that sounds bad!) Not that the actual project took that long, in reality it was a really easy furniture makeover. I just couldn't decide HOW I wanted it made over...ever happen to you? I picked this corner shelf up for free, it was posted in the Craig's list free section, where I find a lot of my treasures. It was completely stripped from the weather and really in bad shape, but I knew it had potential. Even if I doesn't show up in the photos, ugh! This shelf now adds some much needed color to my living room and really brightens the space. You can see I made my Decorative Triangle Tray specifically for this shelf, check out my post to see how I further improved it. 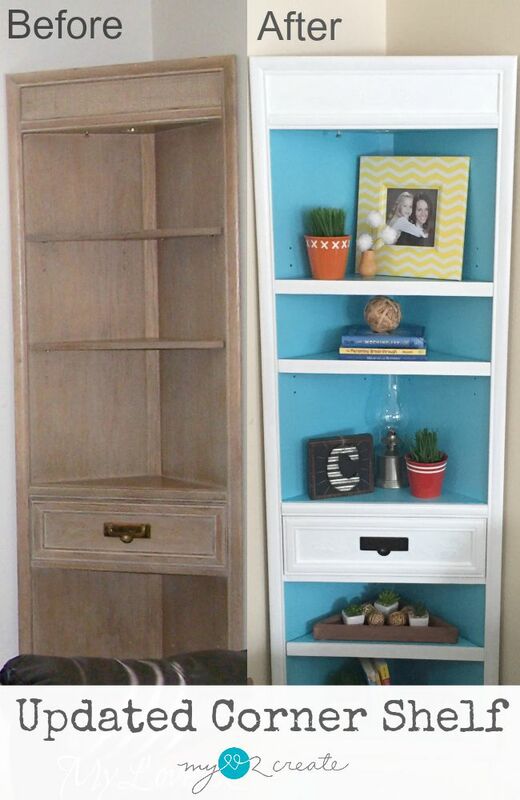 For all the details and story behind this Updated Corner Shelf you can visit My Repurposed Life. One of my favorite parts of this project is how I added trim to the removable shelves and made them look more finished, it was super easy to do but made a huge difference! 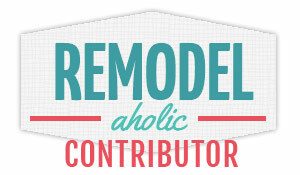 Have you done any furniture makeovers lately? I would love to hear about them! here from flaunt it friday! 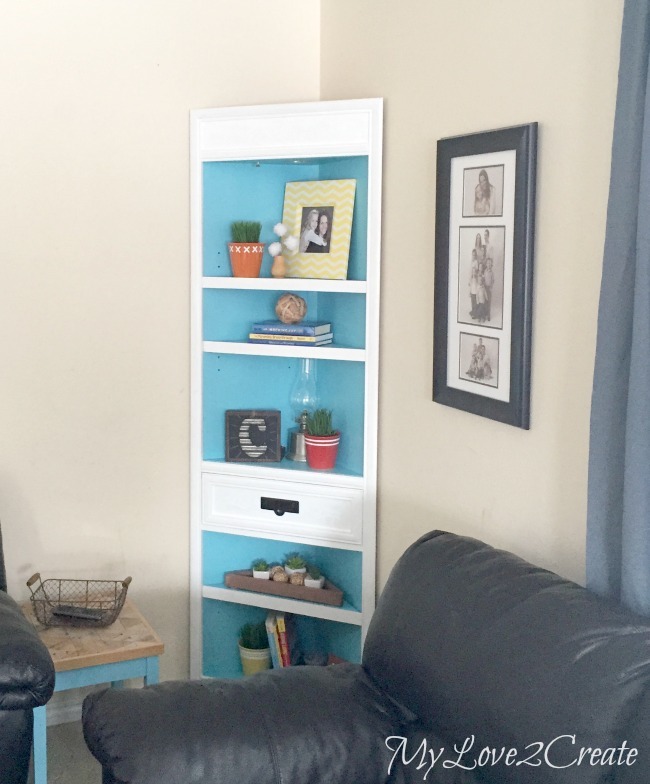 i love the bright cheeriness that you were able to bring to the area just by painting the shelves! Very cute DIY. Thanks for sharing! So much brighter! :D And though the farther away photos may not show the decal, the close ups show it more than well enough and it is beautiful! Would have never thought to do that! 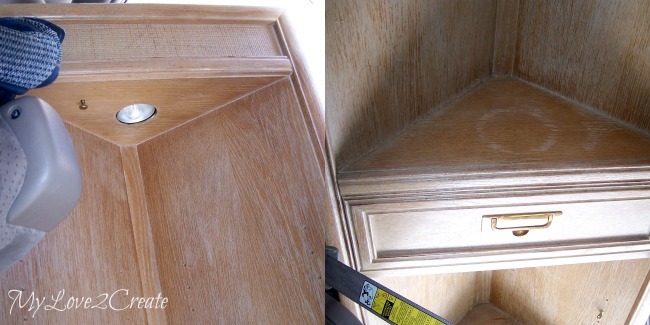 I so enjoy seeing a project with pictures before and after. You've done a great job on the corner shelf. 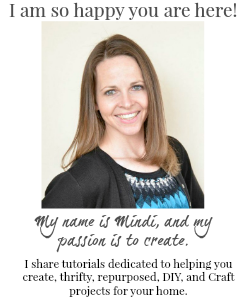 Fabulous makeover Mindi - love the pop of color! I never thought to use spackle for the raised details - much cheaper option than using a retail product. Must remember this tip - thanks! I remember this. 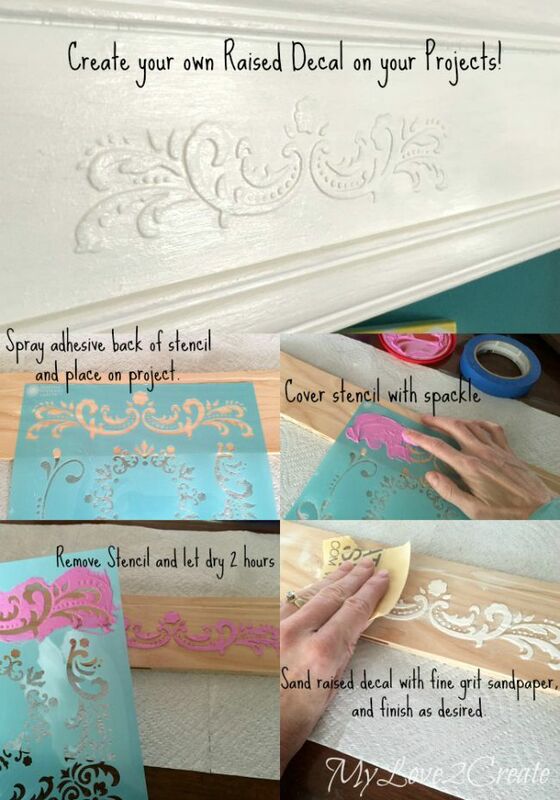 I love the idea of the stencil to create a raised design!! wow, what a difference! You took it from drab to fab! Love the color combo! Thanks for sharing with SYC. This is really great post with many ideas. You made good decor. I will try something similar. Thank so much !